A slow or clogged bathroom sink can get you off to a slow morning. However, this HowToWith GEO video shows it's a much easier fix than most people realize. All you need is possibly a needle-nosed plier and a strong tolerance for unearthing some disgusting clog materials. According to Home Advisor, most people spend an average of more than $200 to have a sink drain professionally unclogged. 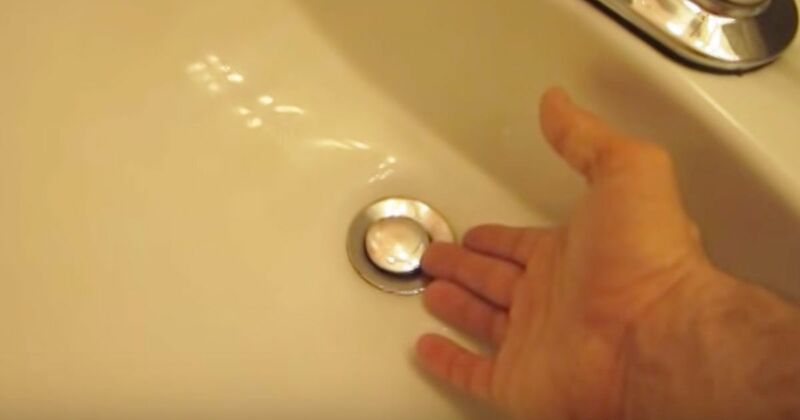 However, this video shows you how to clear a bathroom sink's pop-up stopper from both the top surface and full removal without calling in the professionals. Of course, one of the best ways to address a clogged drain is by keeping the drain clean in the first place. Avoid activities like brushing your hair over the sink and resist the temptations to bath small pets there as well. Household items such as vinegar and baking soda can also help clear debris before clogs become severe. A Chicago Tribune article suggests pouring a cup of vinegar down the drain and waiting an hour before flushing with hot water. This action helps rid drains of dirt and grim before they become a problem. Have friends or family struggling with their own drain issues. Pass this along to help them solve their slow-moving problem in a hurry.